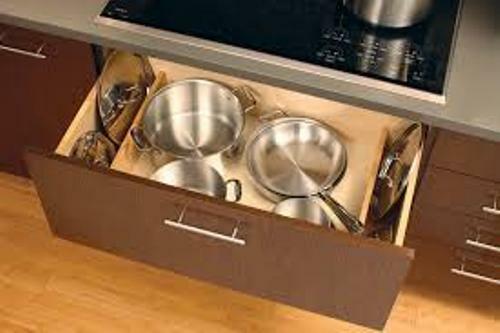 If you have heavy bakeware, you do not need to put them inside the kitchen cabinet. You can use the brackets to hold the pieces. Some people decide to leave their bakeware on the countertop. However, they can evoke cluttered look in the kitchen. Therefore, you have to keep them hidden. Get guides on how to arrange kitchen cabinet here. The shelving unit is another solution to hold the numerous baking tools and utensils. A shelving unit can be made at home if you want to save a lot of cash. You can create it from the wooden sheet. Make sure that the construction is very sturdy so that the pieces will never fall out of the shelves. The top of the cabinet can be used to store the waffle maker and baking pans. 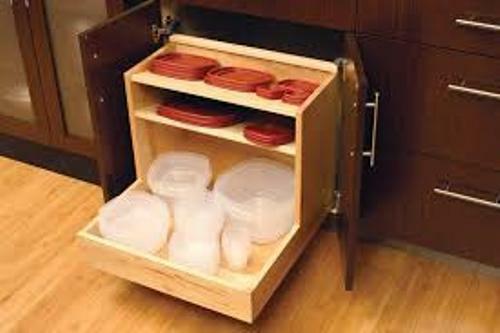 The baking dishes can be saved in the food preparation zone of the cabinet for you will use them for the daily basis. You have to apply a smart management in the cooking room if you want all bakeware items appear neat. If there is a kitchen cabinet, you can have deep pantry shelves. The pantry is not only suitable for holding the food supply. You can also place the bakeware items at the bottom part of the pantry. 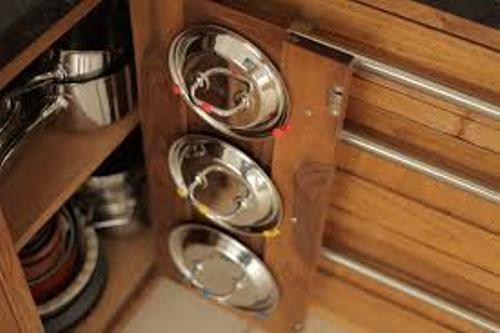 Use the top parts to hold various foods such as spices, meal helpers, cereals and dry staples. The frequently used bakeware should be located at the eye level. Therefore, you can pick the intended item easily. 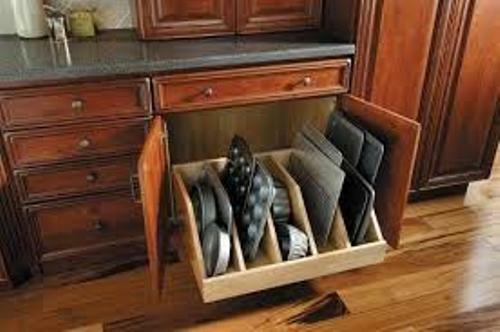 If the shape of the bakeware is not big, you can place it inside a bin or basket and put it on the top of the countertop. Check ideas on how to arrange kitchen cabinet with drawers here. 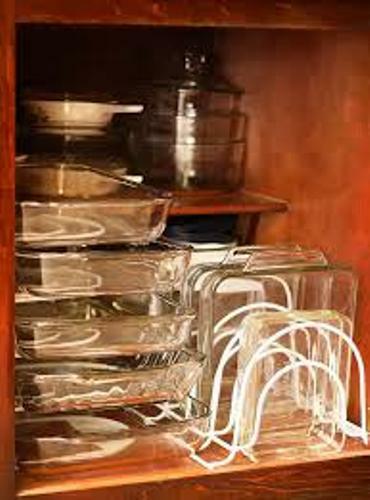 Are you interested reading tips on how to organize kitchen bakeware?